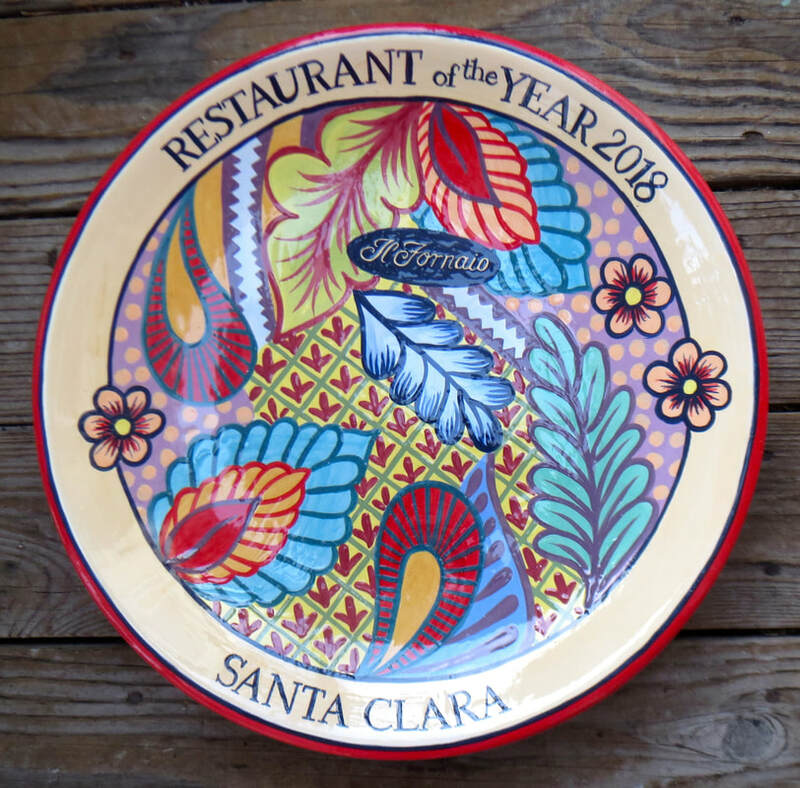 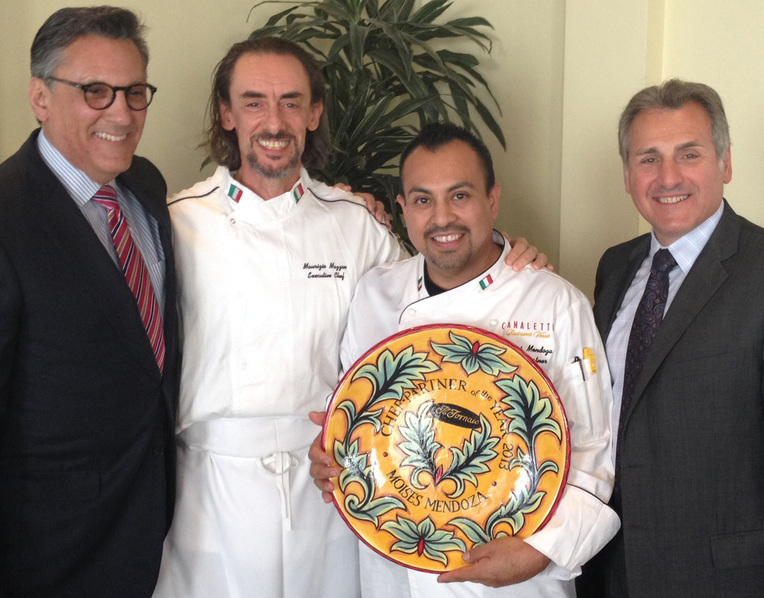 Il Fornaio Italian restaurants, located in Corte Madera, acknowledges excellence in various aspects of the running of their restaurants with a gala presentation event. 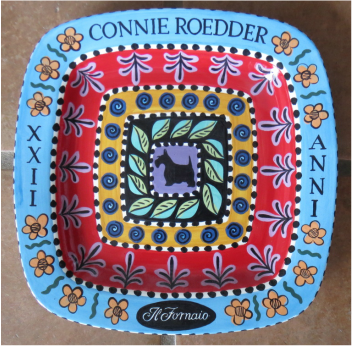 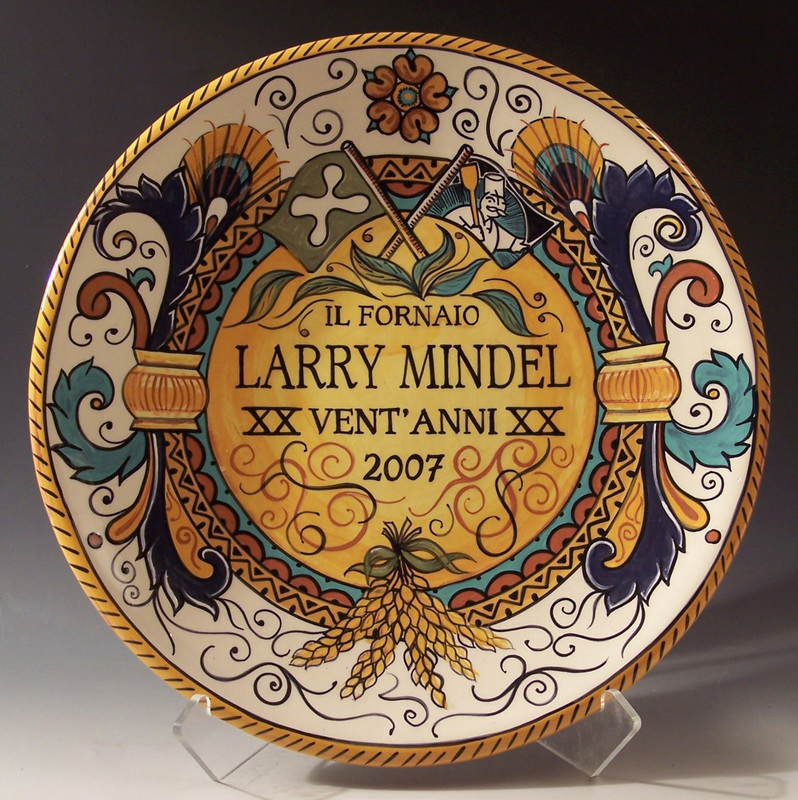 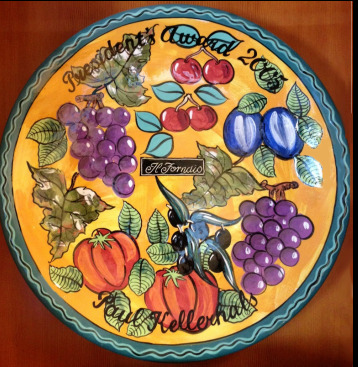 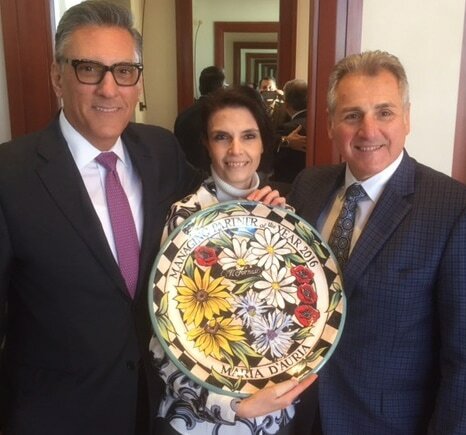 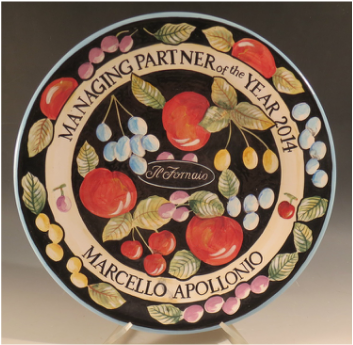 My hand painted awards platters are presented to the recipients at this event. 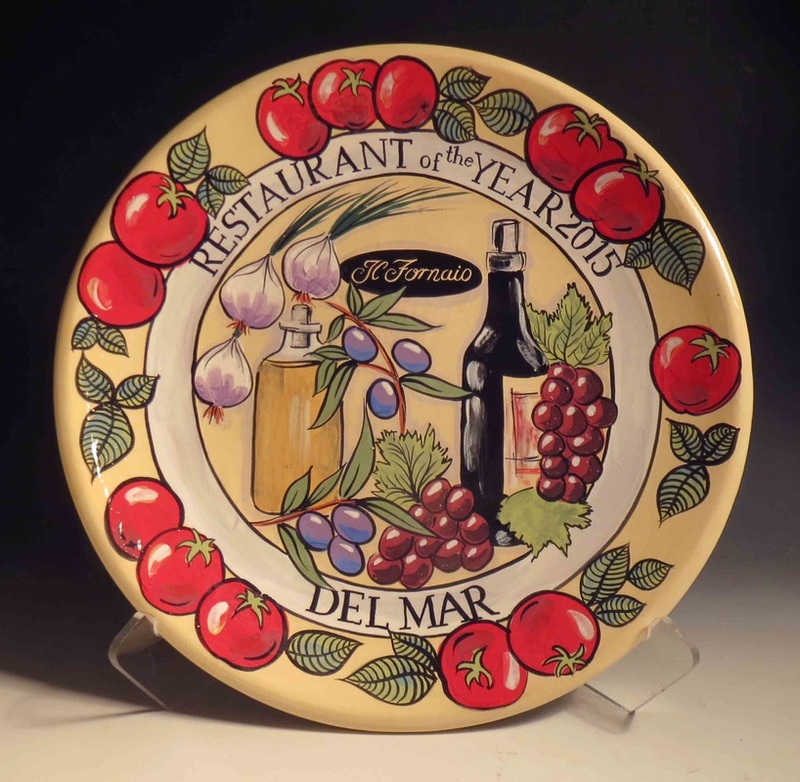 I have also produced other platters to celebrate milestones in the restaurants long history. 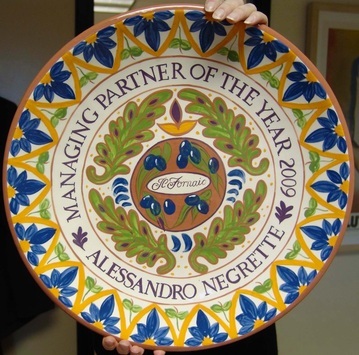 Other clients include Intel and Marriott Hotel Group. 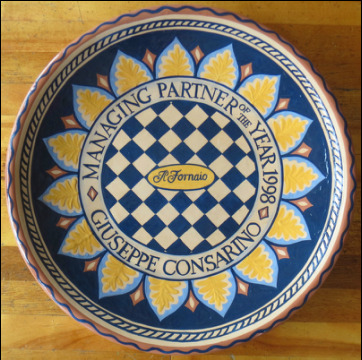 ​Please contact me for further information about your custom corporate project.